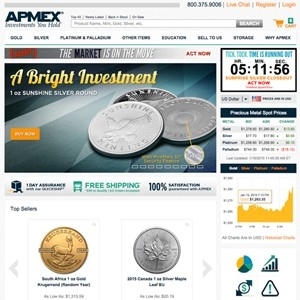 Leader in precious metals in the US, APMEX (American Precious Metals Exchange) offers over 8,000 products to choose from. Specializing in both bullion and numismatics, they sell from a variety of mints all over the world as well as their very own APMEX gold and silver products. Would you recommend this dealer? I've ordered more from APMEX than any other dealer in the last couple months, primarily for their diverse selection of poured silver, which I've fallen in love with lately. They have the best online selection of poured silver I've found anywhere and carry more mints than any other dealer. Their pricing, specifically for poured silver, is very good, considering the markup that the mints themselves place on poured silver. It's been a blast getting stuff from APMEX, and their shipping time is quite good. As for gold and silver coins and bars, which are closer to commodities than poured silver, APMEX's pricing is average at best. I haven't found much reason to get coins or bars from them, though I did order one each of a 5-ounce and a 10-ounce PAMP Suisse silver bar because I could hardly find them elsewhere. 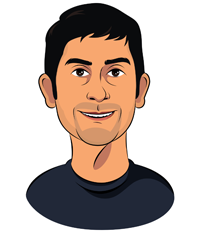 Their inventory is very diverse and fairly thorough for an online dealer. For poured silver...none better. For everything else, they're competitive but not the best. That said, I've never had a problem with their customer service or the quality of their products. I made my first small purchase with them to try them out. I ordered a very simple 20 coin roll of Kennedy 90% silver half dollars. The stated condition was AVERAGE CIRCULATION. One coin in particular really made me feel burned. it looked like someone fried it on a skillet or put it in a fire of some sort. It was literally dark brown/black in color. The damage is irreversible to this coin. there were also maybe 5-8 other coins that had a small bits of this blackish substance stuck on them. I will not be doing business with them again. Also the showed a picture of it coming in a plastic protected tube, but reality they send it in a paper roll (no biggy there, but lots of false advertising going on here). Now I'll need to buy some silver cleaner to see if any of this black stuff will come off! Steer clear of these guys. I have placed several orders with APMEX, but recently one gave me pause: I purchased a name brand (Englehard) bar for $213. After waiting several weeks with the order in a "Processing" status (they held order long beyond their estimated ship date), they informed me of an "inventory issue" with the bar I had purchased and that they would not be able to ship it as they were out of stock. I requested that the order be held until the bar was back in stock. They declined to do so, and we arranged for a replacement shipment of silver coins worth $213. Look, I understand that high demand would cause the price to go up, but I think it is a dirty trick to fail to fulfill orders at the lower "locked" price and then suddenly "find" inventory just days later and offer it at a major premium. Coin substitute: Spent over $1200 on and ancient coin, but was sent a substitute. Spoke with Apmex. Stated that due to large inventory, they use "stock photos." They have offered to refund my money. I will take them up on that. Be careful when deciding to do business with APMEX. I am shocked at what happened to me. tried to make a purchase, been with them a decade, site wouldn't take order, I was told by customer service I was basically too stupid. so I will go elsewhere, TRUST is paramount once gone that's it!! Bought a whole lot of precious metals from APMEX. Needed to sell some quick so I asked them to buy back some silver coins. The purchase price for the coins was approx $5500. The value at the time was approx $6700. Those rip artists offered me a little less than $4000. I will never purchase from them again and I urge everyone to find a more reputable dealer. Just ordered two kilos of silver bullion. Not much mark up, and free shipping. 1. As an investment for my retirement (Bullion Coins), 2. I wanted to start a nice collection of older coins (Numismatic) & 3. To sell if I wanted to make some extra $$$. My first purchase was bullion. Back then silver was trading at about $27-$28 and I paid them $175 for 5 ASE coins. This included a shipping charge of $14.95. I was new and paid. As I became more experienced in buying precious metals, I bought less and less coins from them. They were/are also on eBay and continued to charge shipping for quite a long time, until finally, even they dropped their shipping charge and went to free shipping, to stay competitive with the other major PM dealers on eBay that were not charging shipping. Today, I don't buy coins from them anymore. My last purchase was a deal they had going on eBay for 20 ASE that was only 99¢ over spot, last year (2015). I had to call them one time to inquire about a 10oz silver bar I purchased from them on eBay and I must say their customer service left a lot to be desired. I wouldn't go so far as to say RUDE, but the attitude of their customer service rep was pretty close to that. They are so many dealers today, and with the internet, they are able to reach anyone with a computer and internet connection, that I felt they were operating in pre-internet days, when you had a very limited selection of coin dealers to purchase from (as far as you were wiling to drive) and basically you paid what they were asking, or you didn't purchase a coin. Bottom line, in my opinion only, you would be better served doing some consumer "window shopping" online and compare not just price but service, shipping time and availability of the coin or bar you're looking for and I think, you'll find better sources for precious metals, than APMEX. Totaling up all the money I spent at APMEX, it comes close to $3400. If I could go back to day one, and do it all over again, I would not buy from APMEX. I have bought my last pm coin/bar from them and won't EVER go back. BEWARE! These guys will advertise coins they do not have in stock! You will eventually get your coins but you may be given a ship date that does not materialize only to find out they do not have in stock what you ordered. You will then have another 2 week or more delay before you get your items. In my 3rd order from them I ordered 5 $100 face value bags of silver coins. I realize you will get 3-10 dateless standing liberty quarters in these - which is fine-However when they advertise approximately 71.5 ounces of silver in a bag and you get 81 slick dateless standing liberty quarters and the bag is only 68.2 ounces- that is UNACCEPTABLE! I called customer service to ask if they could send a few more quarters to make it closer to 71.5 ounces--Mind you I had spent over 10K with this place in 10 weeks---When asked if the bag had $100 face value in it and I responded yes- -- I was flat out told NO! Nothing they could do for me! Fine way to send a 10K plus customer who was going to spend another 40-70K with them packing! BEWARE- I have found a much better place to do business! While not the cheapest, I've never had a problem with APMEX buying from them multiple times over the years. it may be wise to go with a large dealer nowadays with all the fakes floating around especially on sites like Ebay. i found their pricing to be very competitive. in the current market, for most coins and bars, either gold or silver they are much cheaper than most. they have all the most wanted; Am Eagle; Perth Mint; some of their own products which are priced well. Shipping is excellent. Wrapped well. Plain box. everything you would want. and now it seems, free shipping for $100 and up. Great deal! i highly recommend. Quick to ship and quick to arrive when paying by wire. Quickly received exactly what I ordered, very nicely packaged and the shipping was free! I will gladly make more purchases from APMEX, with no worries. Very happy! I shopped around and found them just as affordable as anyone else. Shipped next day after payment received. Always a good product that shows up quickly. 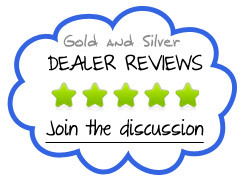 Good customer service and reasonable prices, great bullion buyer as well. bought nearly all of my stack from them, and will keep buying until ive a reason not to. Ordered some of their generic silver, got over 10 ounces of fake silver, contacted customer support multiple times, never got the issue solved. Honest and reliable customer service. I am happy with my purchase. Apmex is a great distributor of precious metals. If I am looking for a specific coin or round, they would be my first stop to see if I can find it. Large selections and a reasonable price are some good things about Apmex. The bad though is they are not the cheapest. And if you are like me and only spend $100-$250 an order, you will find that the shipping kills any deal you come across. They do however run specials here and there for free shipping on specific items. So if you can catch the deal and the market is at a good spot to buy at, you can get a great deal from them. I experienced shipping/processing times are about 11-13 business days in total when sending them a check immediately after an order has been placed. So not too bad. This order was a pre-order for 2015 eagles, so i placed the order in early January, but received my coins on the 19th, from shipping announcement to my door was very quick. Apmex has a "shoebox" they ship tubes in and this protects the tubes very well. Previous shipments from Apmex have also been very quick and and well packaged. Apmex are probably the number one dealer for most people, the issue is that they have some of the highest prices, with the exception of world coins. The prices on their world coins are quite competitive, and actually, their 10 ozt kooks are the cheapest on the internet when you factor in S&H, fees, and other crap from other websites. I'm not sure about other coins they have, but when it comes to straight, cheap bullion: shop elsewhere. Props to their shipping, CS and overall buying experience though; shipping was fast, the packaging was great, and I got a cool Apmex box with some catalog stuff in it. I'd shop at Apmex all the time if their prices were better all around. horrible service i hate this company they scammed me of a golden coin. I have only bought from Apmex on Ebay and not directly through their site, but the transactions was fast and they shipped the next day. Their prices are higher than others but if you wait they will have periodic deals that last 24-28hours that beat all others. Will do business with again. Fairly new to precious metals and did some research before I bought. I decided to go with Apmex just because of their size and reach. All in all I had no problems from buying to getting what I ordered. Shipping time was fast as well. Yes, you may pay slightly more but for peace of mind it was worth it.